A few months back, we introduced a brand new payment terms & editable plans feature in invoicing (at the time PowerPay). 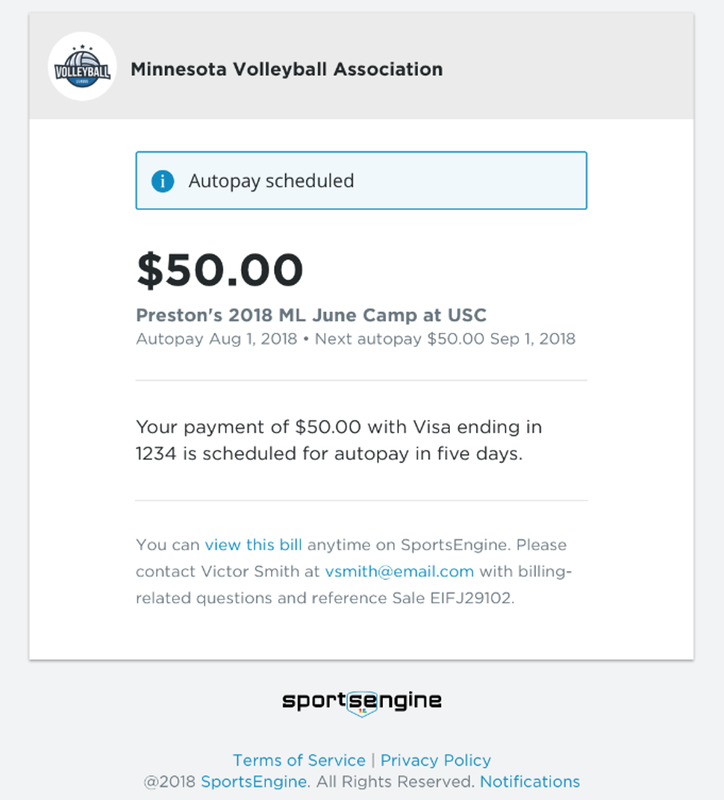 A part of that release that didn't get a ton of attention was the fact that with each payment plan that parents sign up for, they are setting up "auto payment" of their future payments. There's a ton of obvious benefits on both sides, but there were two sticking points that users immediately started asking about. A recent release took care of those asks. Now, parents will receive a message 5 days ahead of their next scheduled payment that reminds them of the amount and date that the payment will be ran against their payment method on file. Failed payments are a way of life in the financial world. 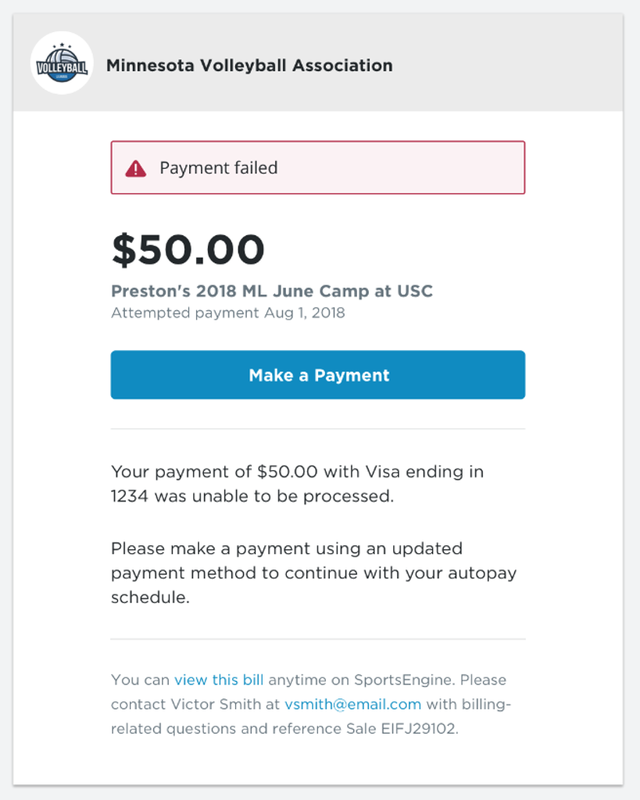 If a parent's payment method fails for any reason, they'll receive a message with a link to make the payment. 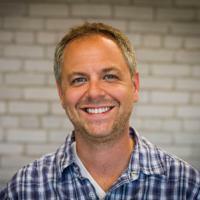 They will easily be able to add a new card or bank account to be all set for the next payment. Thousands of clubs, leagues, and associations use SportsEngine HQ to manage their operations, teams, finances, and communications. You can get started for free today.